The Plumber in Scottsdale you can trust! Looking for a Plumber in Scottsdale you can count on and trust. Our customers know that our technicians will arrive on-time, all the time and give them a fair price before we perform any work. The only way to find out is give us a try and or ask your friends, we may have done work for them at some point, we have many customers in Scottsdale and completed thousands of jobs from small clogged drains to major copper re-pipes. Take a look at our Services page and see what we offer. Below you will find some money saving coupons for just about any service we offer. Present the coupon to your Plumber in Scottsdale when he arrives and take advantage of the savings. Do you need an Affordable Plumber in Scottsdale Arizona? Plumber in Scottsdale -Plumbing problems such as clogged drains, leaks, and other emergency plumbing problems are part of the daily lives of homeowners and businesses and need a good plumber in Scottsdale. Homeowners and businesses will inevitably need a local plumber at some point in time. When you need professional plumbing repairs and installations in Scottsdale AZ, you will need the quick reaction and quality workmanship of a skilled,plumber in Scottsdale (licensed Arizona plumber). Option One Plumbing & Rooter is prepared to serve Scottsdale, AZ and surrounding areas with professional plumbing and drain cleaning service with affordable solutions for all plumbing and drain problems that could arise. We are prepared to serve you with emergency reaction or preventative maintenance. When you need a plumber in Scottsdale to service your home or business, you will be delighted with the range of services offered including water heater repair, copper re-piping, sewer and drain, cleaning, repaired, or replaced, toilet stoppages, as well as sink, shower and tub problems. It’s one of the reasons why we are the Scottsdale plumbers of choice for homeowners and businesses across Chandler AZ, Gilbert AZ, Glendale AZ, Mesa AZ, Peoria AZ, Phoenix AZ, #1 plumber in Scottsdale AZ or Tempe AZ. So whenever you need a plumber in Scottsdale , it will be a relief when the plumbing experts from Option One Plumbing arrive on-time, and with a total commitment to your satisfaction. If you need a great solution to your plumbing problems call the Plumber in Scottsdale that’s ranked #1 in the Phoenix Valley. No matter what your plumbing needs are in Scottsdale we have the solutions to solve all of your plumbing problems. From a clogged main sewer line to leaking pipe. Our service men are trained to fix your plumbing right the first time. Scottsdale leak detection can seem like something pretty simple. And in some cases can be very easy for trained service man to locate a leak. However in some cases specialized equipment is needed to locate the source of a water or sewer pipe leak. If you have a slab leak in your home or business our technicians are trained to locate and repair your leaks fast. Call The #1 Scottsdale Plumbing Contractor for fast water heater repairs and or replacement in Scottsdale. From the older tank type gas or electric water heaters to the newest tank less water heaters. Our technicians are certified by the manufacturers to properly repair or replace any type of hot water heater you my be having problems with. Plumber In Scottsdale Best priced drain cleaning service in Scottsdale. No matter what drain line or sewer main stoppage you may be having our prices and service cant be beat. 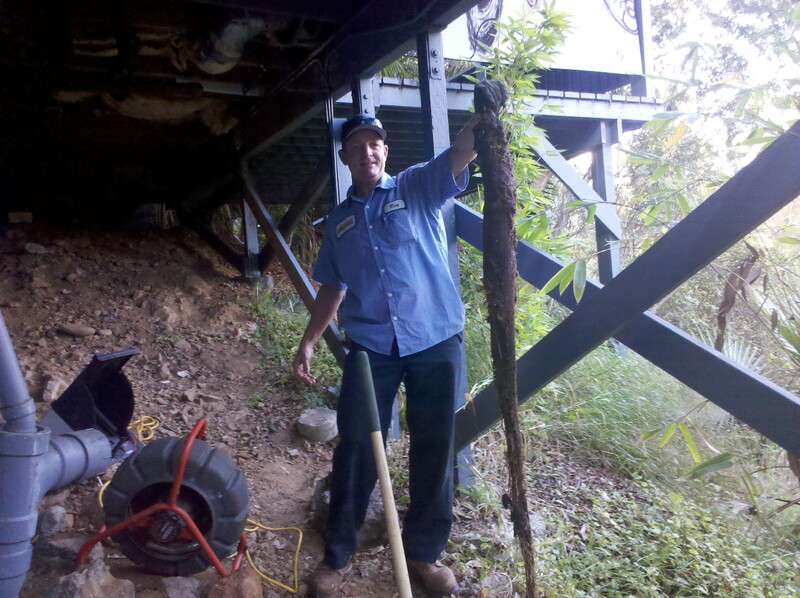 We charge only $49.50 for any drain or sewer line stoppage during normal business hours. We are highly trained in all the latest technology from sewer camera inspections to trench less sewer repairs and replacement if needed. If you need a drain or a sewer line hydro jetting performed in your home or business in Scottsdale.We have the hydro jetter you need. From a smaller electric hydro jetter for smaller drain lines. To a tow behind trailer hydro jetter that is capable of cleaning large diameter sewer and storm drain lines. Our Scottsdale hydro jetting service is capable if removing tree roots from your sewer main or storm drain piping guaranteed. Option One Plumbing has a plumber in Scottsdale ready to help with any plumbing or drainage issue that you may have. 24 Hours a day 7 days a week. generally a journeyman Plumber would consider this. otherwise, go to an apprenticeship to become a umplber. you would usually name it your last name. (like mortal plumbing, or mere’s plumbing company) if it’s your own company, wouldn’t you rather think of your own name, it would show that you’re more intelligent and creative. if you were a Plumber, you would know what kind of tools and supplies to have on hand. hank hill answered above me.~i wouldn’t take plumbing advice from anyone except maybe swabbie and me. they obviously don’t know what there talking about. the royal flush already is a name in use and i found that name in under a minute by googling funny plumbing company names.~captsnuf, the one of those big tripod looking things made out of 3 inch pipe and about 4 feet tall is called a pipe threader. get you’re facts straight. you obviously don’t know the first thing about plumbing.~someone doesn’t like me. ignore the thumb down. i’m sorry if my answer’s upset you whoever is doing this.